Traders have refused to back plans to set up the city&apos;s 12th business improvement district in a narrow vote. 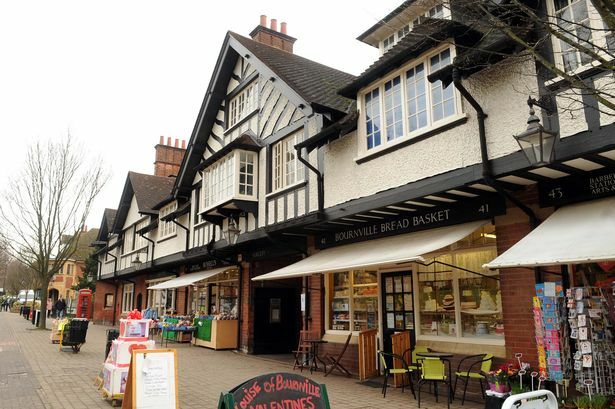 Campaigners in Bournville, Cotteridge, Kings Norton and Stirchley had hoped to set up the Lifford BID which would have seen at least £1 million extra invested in the area over the next five years. But 52 per cent of businesses polled did not believe it was worth paying an extra levy on their rates to cover the cost and voted against. Chairman of the Lifford Business Association Robert Grosvenor said: "This is clearly a very disappointing result after four years of hard work by the association to see positive and sustainable change but we must stand by the democratic process. "Myself, as an individual business owner, and those other businesses that supported the BID now look forward to working with whatever alternative options are brought forward to improve the area we work in and care about so much." Eleven BIDs have been set up across the city covering areas like Broad Street and Westside, the Colmore Business District and Erdington and Northfield town centres. The levy paid by firms funds services like extra street cleaning, policing and security, marketing and promotion, festivals and general improvements to an area. The Lifford businesses wanted to use the fund to boost trade which some claim is falling behind as nearby areas like Longbridge and Selly Oak are being revived with new stores. The area has also been blighted as a result of a drawn out battle between Tesco and Co-op over the Stirchley superstore and regeneration, with construction still awaited more than a decade after plans were first announced.